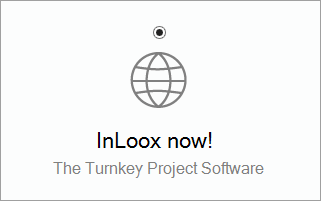 Try InLoox now! for Outlook for 30 days - free of charge and with no obligation whatsoever. If you need help please see the installation guide below. Visually organize project ideas, keep track of upcoming deadlines and resource capacities — this makes planning and coordinating very easy. Capture work hours as you go — this way, the unbroken documentation of projects is as simple as anything. 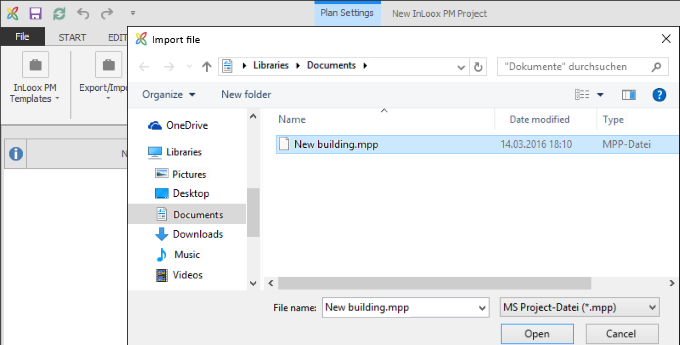 Create new documents and interlink existing ones directly within the relevant project folder — and stay organized without additional effort. 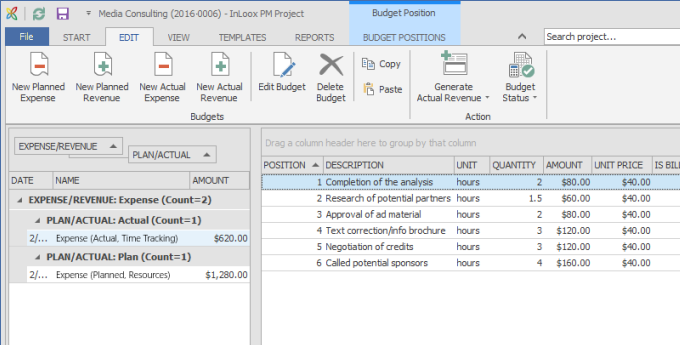 Calculate your projects' budgets fast and easy. With the graphical overviews, it's easy to identify trends, allowing you to react early on. With InLoox now! 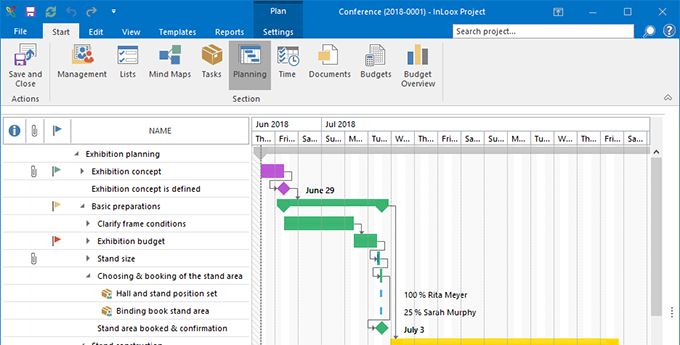 for Outlook, you have unlimited flexibility: manage projects, documents, resources, mind maps, and budgets directly in the familiar user interface of Microsoft Outlook. Thanks to the turnkey service, your project infrastructure is always up-to-date — we take care of that while you focus on what's essential to your project success. Find out how the software supports you in optimizing your everyday project and team work. If you prefer working with a locally installed project management solution, our InLoox PM solutions are the right choice for you. 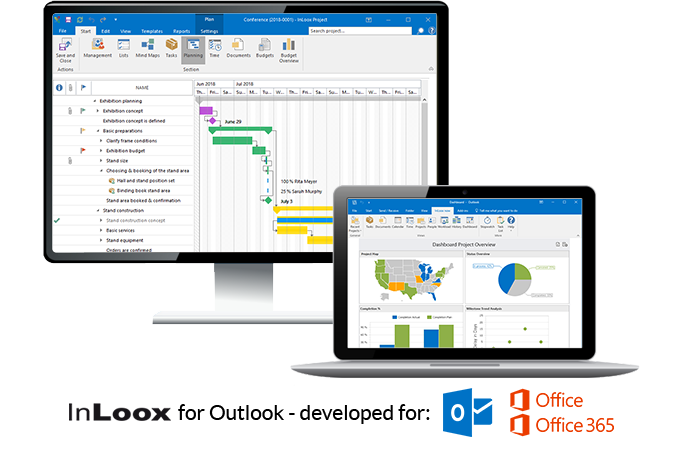 Fully integrated in Outlook and Exchange, InLoox for Outlook is a real-time project information communications center which is available to all authorized users. 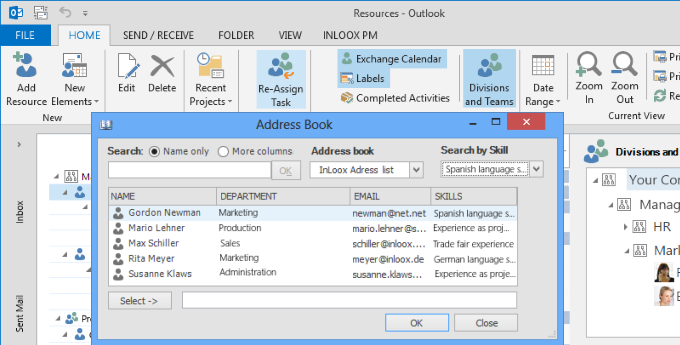 InLoox enhances Outlook with powerful project management features. Monitor expenses, returns and deadlines of your project portfolio effortlessly and create graphic project dashboards from different diagram options and data sources. InLoox PM shows you key data and developments at a glance. Budget overruns and missed deadlines can be identified in advance, making it possible to react in time. 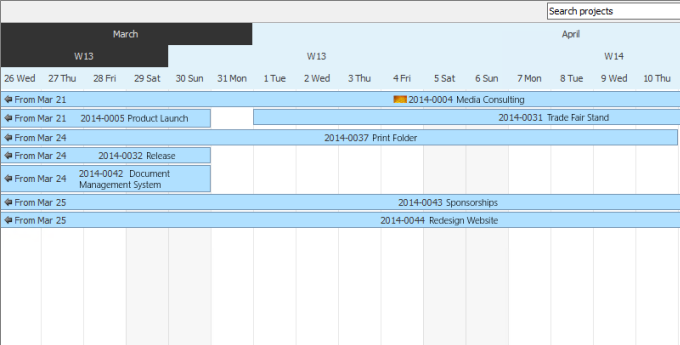 The Global Calendar shows all milestones and work packages from all your projects in a multi-project calendar view. This enables you to see on a day-to-day basis what is coming up today and in the next days in your projects. 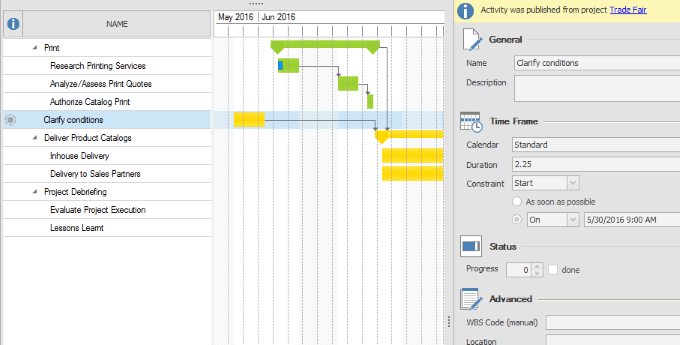 During the planning of multiple projects running parallel InLoox supports you with a timeline view, which adjusts to your individual requirements. This way, you can coordinate your projects graphically. 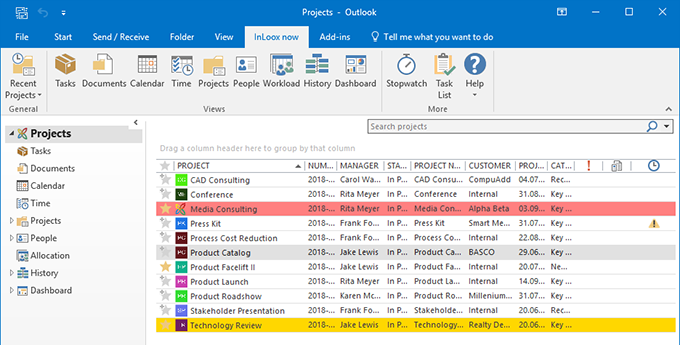 Search your projects in no time directly in Outlook. The full text search makes project information easily accessible to authorized users and leads you directly to the search results – e.g. during a phone call, before a meeting or during research. Organize, sort and group items as usual – by assigned responsibilities, deadlines, project types, priorities etc. 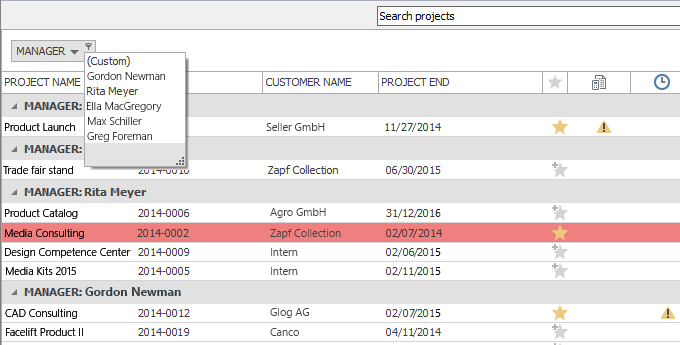 Edit information directly in the context-sensitive side panels and refresh data dynamically – without having to leave the project. 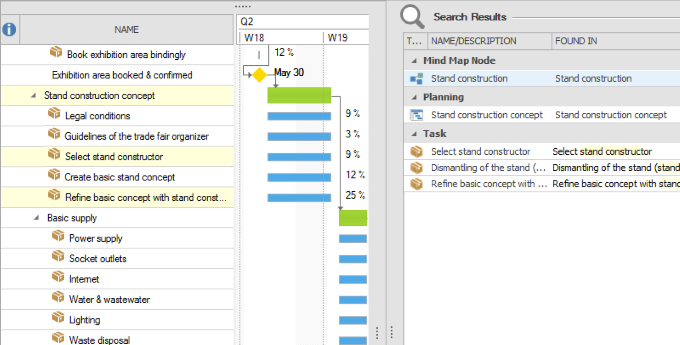 Organize tasks in a customizable virtual Kanban view. 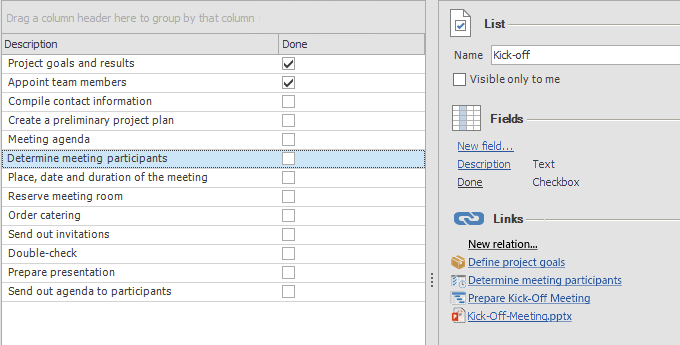 Change the status of a task in a quick and easy way via Drag’n’Drop. All team members see at a glance which tasks are pending, which ones are currently in progress and which ones are already done. 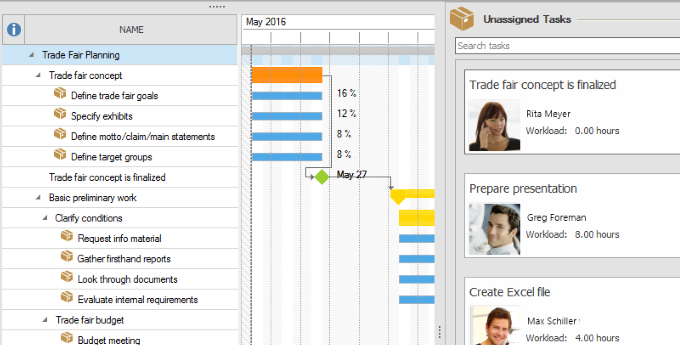 Create, assign and organize your To Dos in personal tasks without having to create a timed project plan. Leave a comment on the task to share details in a quick and easy way. Define clear responsibilities by assigning tasks to team members. 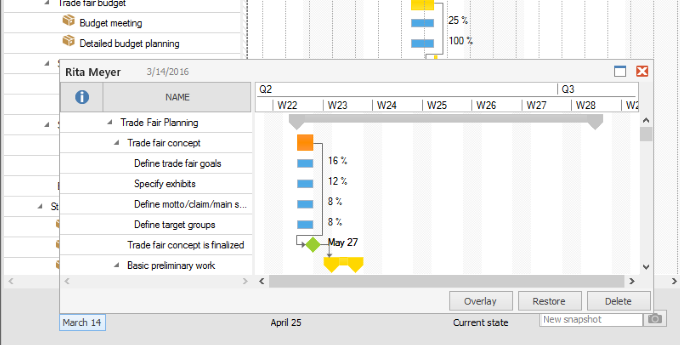 Tasks can be easily assigned to an activity in the project time planning via Drag’n’Drop. Tasks are in synch with the project schedule and the progress in the project is updated automatically as soon as a task is completed. 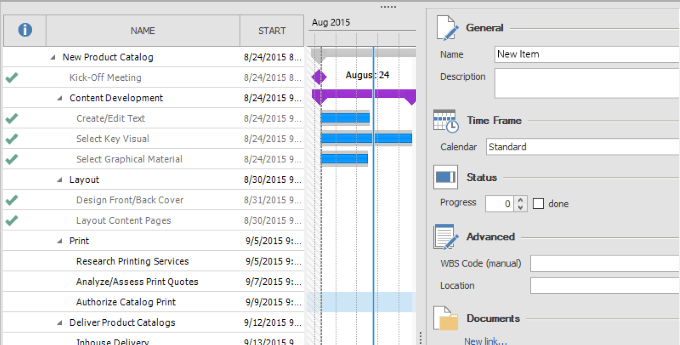 For an even greater ease of use, you can also link tasks with Outlook tasks or appointments. 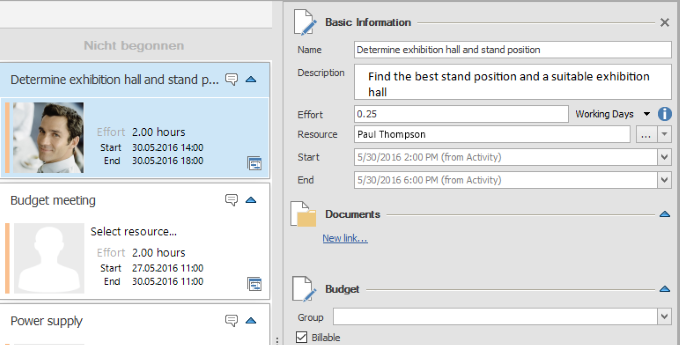 Create check lists for your projects in a list or a card view. 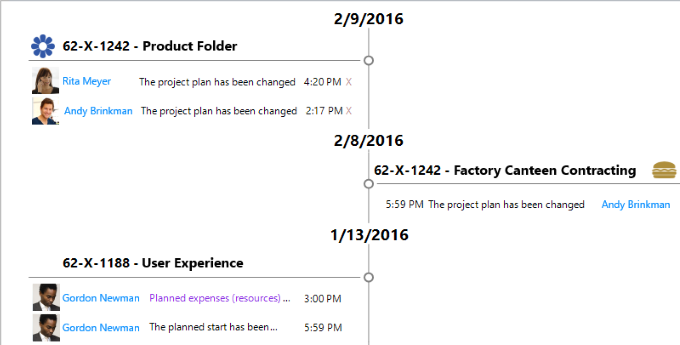 This makes it really easy to organize project information in a clearly structured way even before generating tasks or a project schedule. InLoox for Outlook facilitates the planning and coordination of your projects. 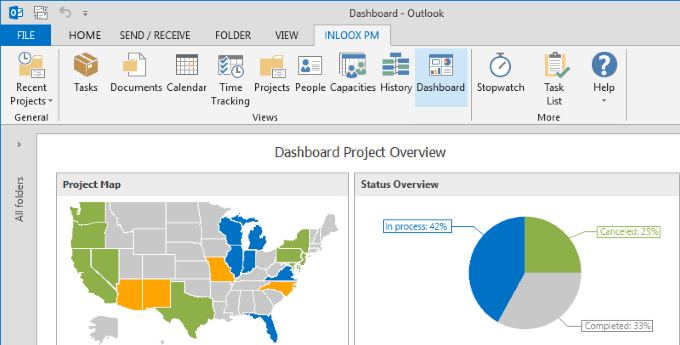 Get a visual overview of upcoming tasks and the utilization of resources. Planning reliability is increased with InLoox, while maintenance is reduced thanks to the consistent integration into Outlook. InLoox adapts flexibly to the project planning methods used in your company and is able to map even complex planning models. Choose between forward and backward scheduling and incorporate planning chains true-to-reality by using dependencies, constraints and different calendars. 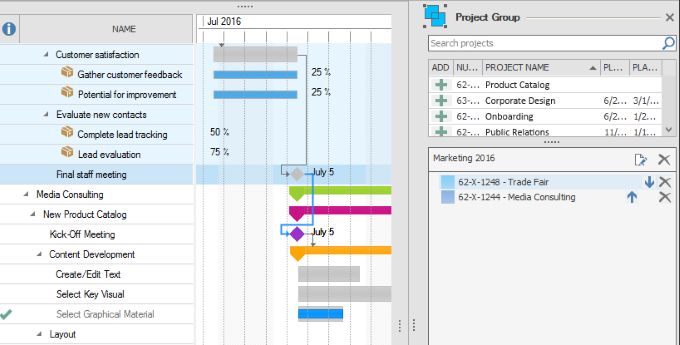 Record the current state of the project time planning and compare it at different times. With just a few clicks you can go back to an older planning status. Interconnect the project plans of two interdependent projects. This allows you to see appointment dependencies, bottlenecks in the resource utilization and to get a consistent overall time planning. Use planning elements also in other projects – e.g. to incorporate elements from an annual planning into departmental plans. 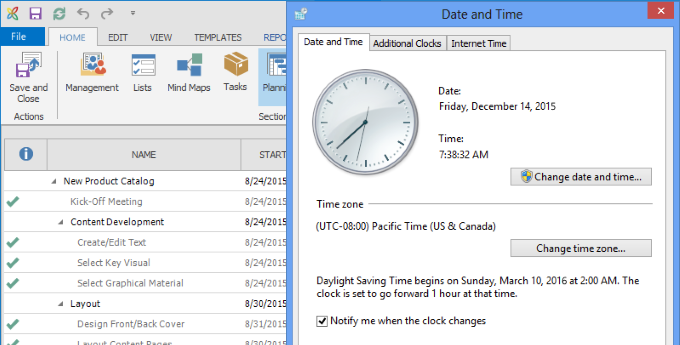 Create working time calendars in InLoox for Outlook according to your individual needs. 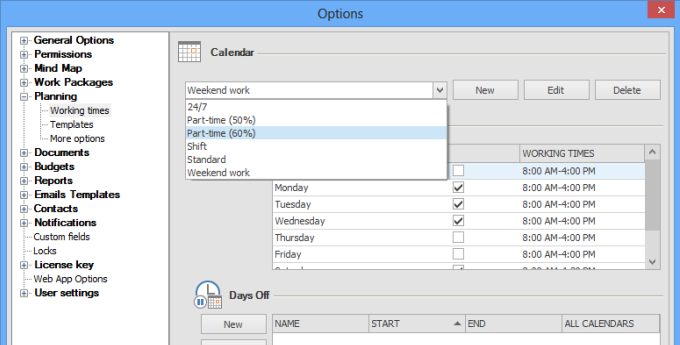 So, you can incorporate different working time models, such as shift work or part-time work and enter working times, holidays and duration of work at different company locations into InLoox. If your team is scattered across times zones, the tedious converting of local times is now over. InLoox for Outlook automatically uses the time zone settings on the device you’re currently working on. 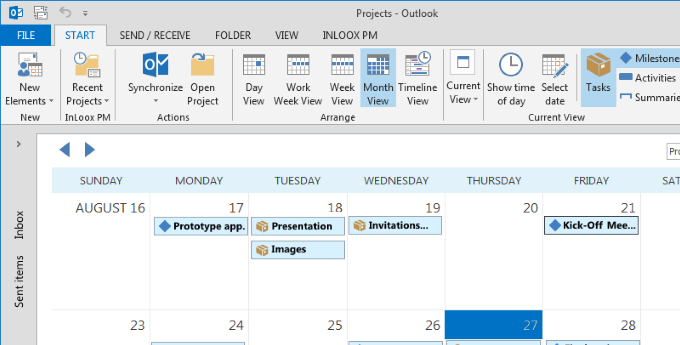 You can easily exchange project schedules between InLoox for Outlook and Project. 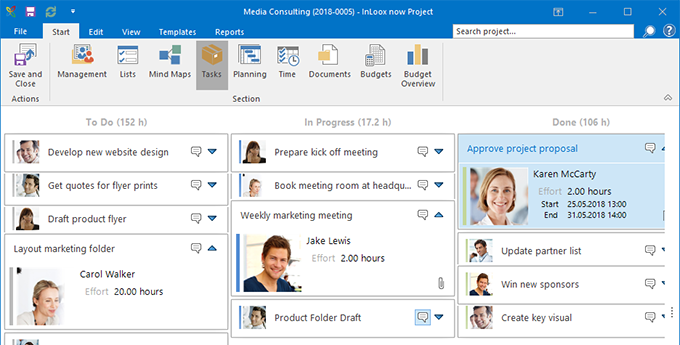 InLoox users do not need any additional software - neither is Microsoft Project necessary. Thus, you generate project files without any previous knowledge respectively read existing data in and use them - in a very simple user interface. 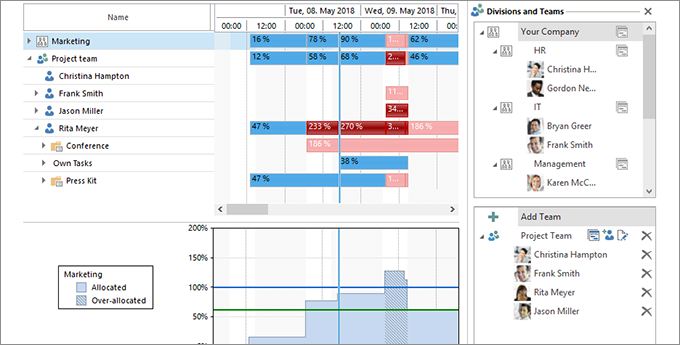 Manage resource availability and workload more effectively with the visual workload overview. It integrates both project work packages from InLoox and appointments from the Microsoft Exchange free/busy service. This way, you always have an instant and complete overview of all project resourceslike– be it team members, rooms, or tools. All expected internal costs for resources are calculated automatically. Fixed cost rates are kept on file by InLoox for Outlook according to cost center or activity. Supplementary and special costs are added by the project manager. Regular plan/actual comparisons are carried out automatically. Cost planning is therefore based on project time planning. As a result, you have conclusive costing. Assign tasks to another resource at the push of a button to create a balanced work load for all team members in your projects. 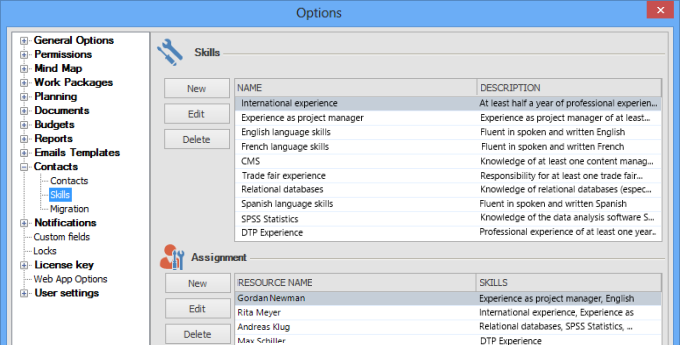 Enter the skills of your team members into InLoox PM PM, such as language skills, special industry knowledge or certifications. So, you can easily localize employees with the required skills inside your company, contact them directly and deploy them systematically according to their skills at the suitable project position. Click on the installation file, accept the end user license conditions and click on Install. Now select InLoox now! 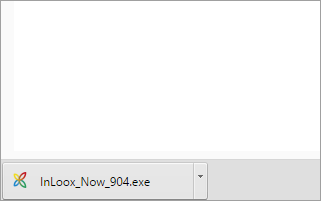 and click on Next in the InLoox Welcome Wizard. 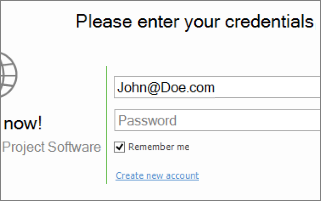 Then, click on Create new account and register for a new InLoox now! account. 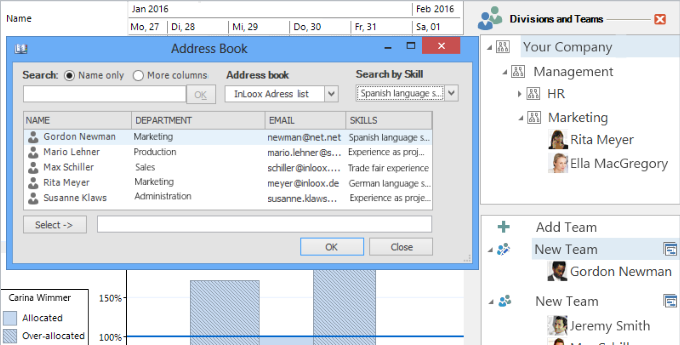 Compare the webbased and Outlook-integrated product. Important technical data for InLoox now! for Outlook. The current InLoox price list in PDF-format. InLoox now! for Outlook - InLoox • Copyright 1999-2019 © InLoox, Inc. All rights reserved.